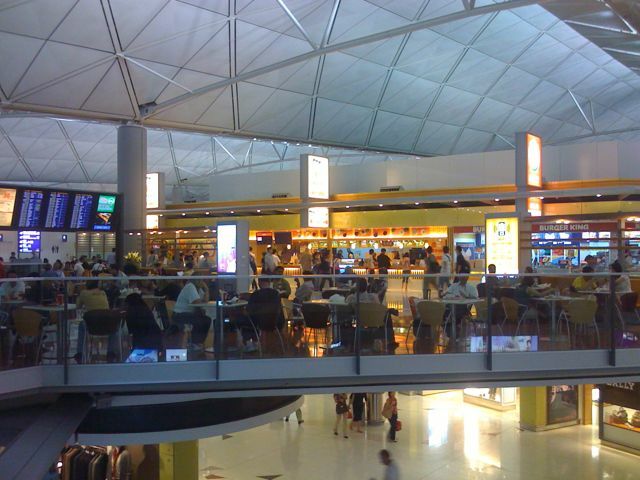 I’m at the Hong Kong airport waiting for my connecting flight to Chennai which is a 6 hour flight. Ugh. I just got done surviving a 13 hour marathon. I couldn’t even keep my eyes open by the end. But I did watch Bank Job and Iron Man which were both pretty good. I think Iron Man may be my favorite super hero, with Batman a close second. The biggest motvator for me to blog right now is because I’m doing it from m iPhone with the free wifi in the airport. And I even got to call home using a Skype-type app called Truphone for pennies a minute. I love technology. The airport itself is pretty sweet. Super modern, wide open and clean and with heart-bumping techno music blaring from the duty free shops. Feels more like a shopping mall than an airport. And the train station is right here too. If the directors of The Fast and The Furious were commissioned to architect an airport, this would be it.